prepared by the talented and kind Luigi di Martino. They accept (online) reservations from outside guests too (Luna Cocktail & Tapas Bar). 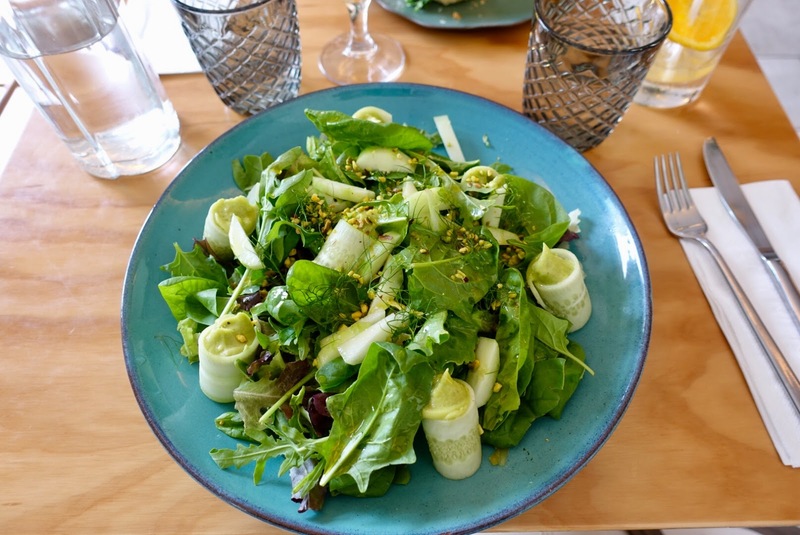 But now to my tips from the rest of town, starting with three good upscale dining-spots and ending with a great find for having a light lunch. 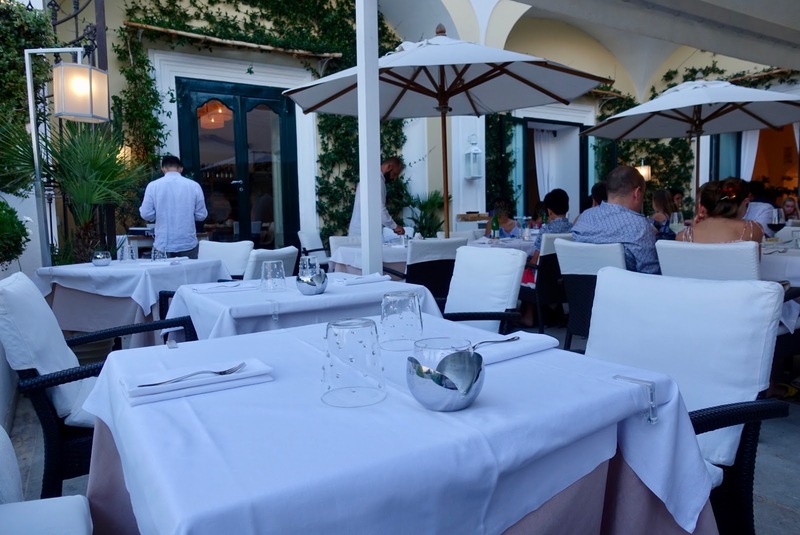 This small upscale restaurant at the Hotel Villa Franca high above town was the biggest (pleasant) surprise for me here in Positano as they offer an inventive and well-made cuisine that is Michelin Star worthy. And for guests of Hotel Villa Magia – where we stayed – it is very well located as it is only a minute of climbing stairs away! 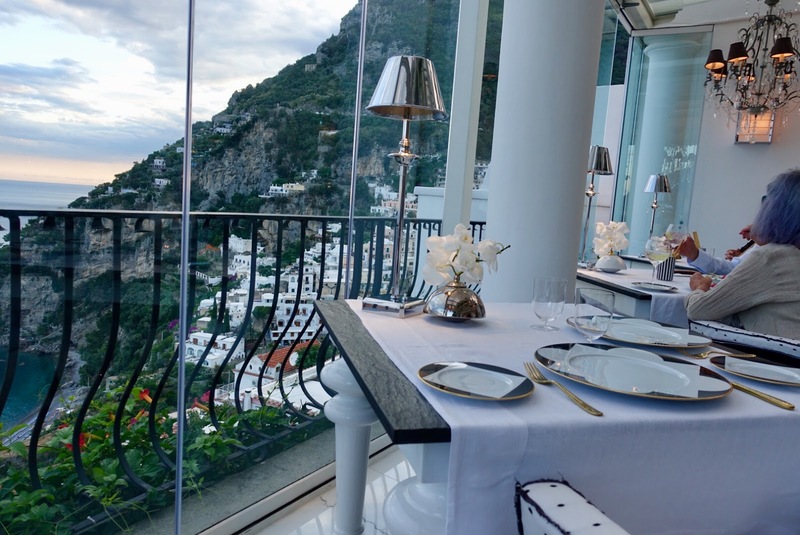 – about ten tables on a glass balcony with unparalleled views of the sea –, the impeccable service and the sophisticated food presentation. 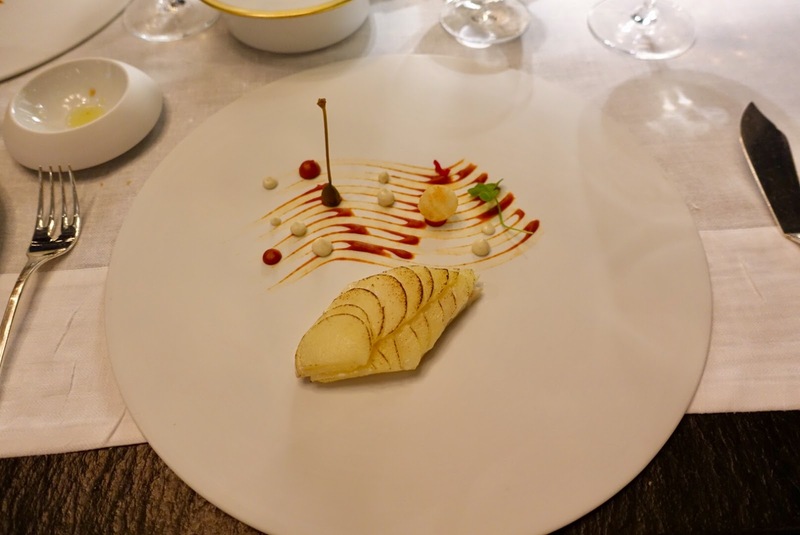 We opted for the 7-course tasting menu and were amazed by the creativity of the chef, Vincenzo Esposito, in charge here for a couple of years. 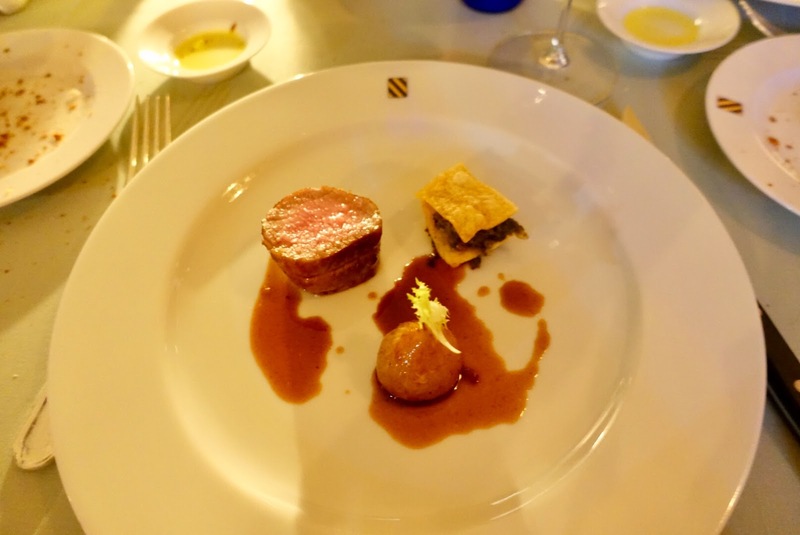 It was a true epicurean experience, offering what I would consider a gourmet Italian cuisine, rooted in the terroir. Each dish was a photo op and a delicacy as well. Although it was top end price wise it was worth the cost. Here is a choice of the most memorable courses. was a hit. I also loved the main course, a turbot – potato combination accompanied by a cherry tomatoes sauce, capers and olives. A remark to end the paragraph to this first restaurant recommendation. 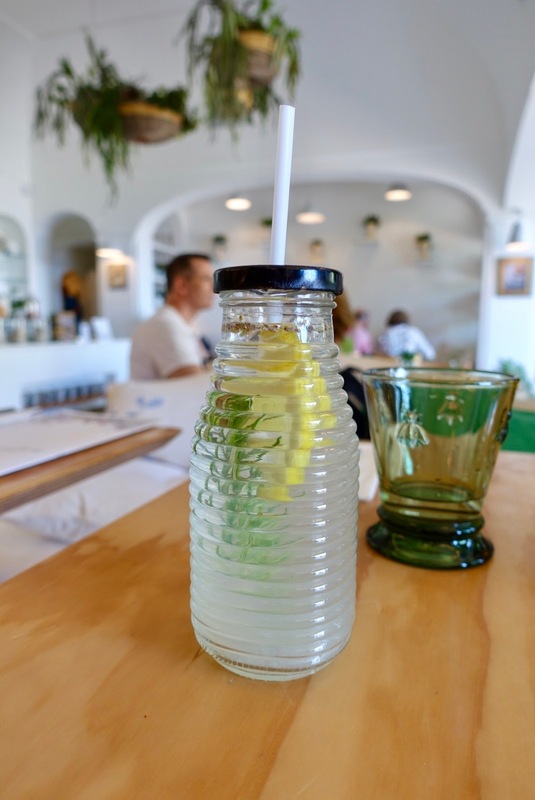 There is another eatery in town with almost the same name, Li Galli Bar Bistro, which is located at a different spot and with another, more casual approach. Make sure that you head to the right place! 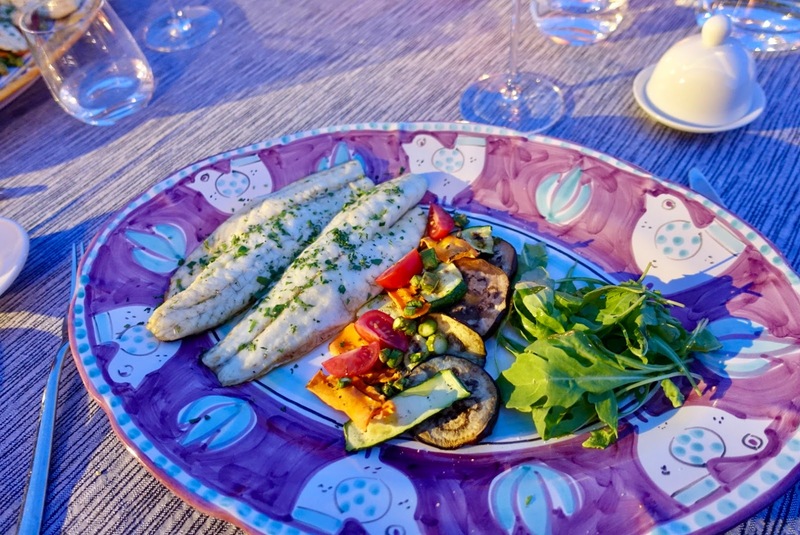 The most known – and certainly the most romantic – gourmet restaurant in town should not be missed, Restaurant La Sponda, at Hotel Sirenuse. This is also the place with the best vista in Positano. When dining here, you have great views of the most picturesque part of the town. If you want to get one of the 70 seats they offer here, you have to take an early decision as this dining-spot is very much in demand. It is recommended to reserve some months in advance. La Sponda is ideal to celebrate an anniversary as they illuminate it with 400 candles, which results in a really romantic atmosphere. In addition, there are two musicians, playing guitar and mandolin, who come to your table. Another, not that desirable consequence of this sea of candles are low light conditions so that you are barely able to see what you eat. It is a pity that you have to imagine the dishes rather than marvel at them. For the same reason I cannot provide a picture of the setting. 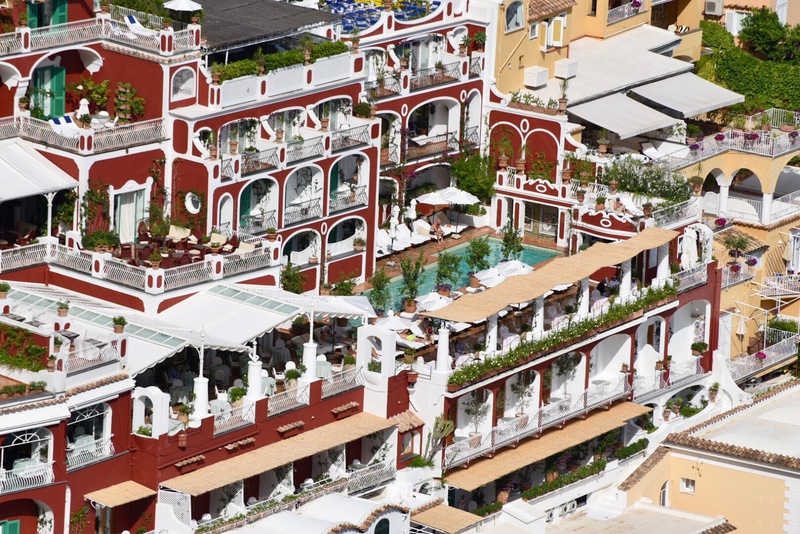 As an alternative, here the place by daylight taken with the tele lens from the top of Positano (it is the area by and left from the pool). A thing I was fond of here, is the service. It is professional and not pretentious at all. The waiters have charm and a sense of humor, which is also true for the maître d` with whom we chatted twice. He used to work in Switzerland and so we exchanged some words about this and the La Sponda. But now to the most important thing, the food. 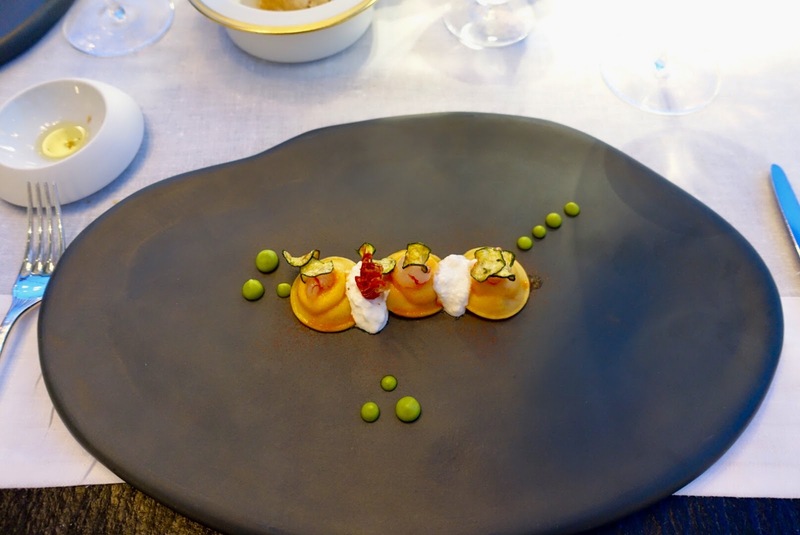 We had the six-course tasting menu and liked the creations from chef Gennaro Russo. 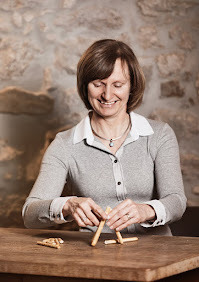 They are light, inspired by the local culinary traditions and well-composed. Portions are rather small yet sufficient especially if you tuck in the tasty bread they serve here. 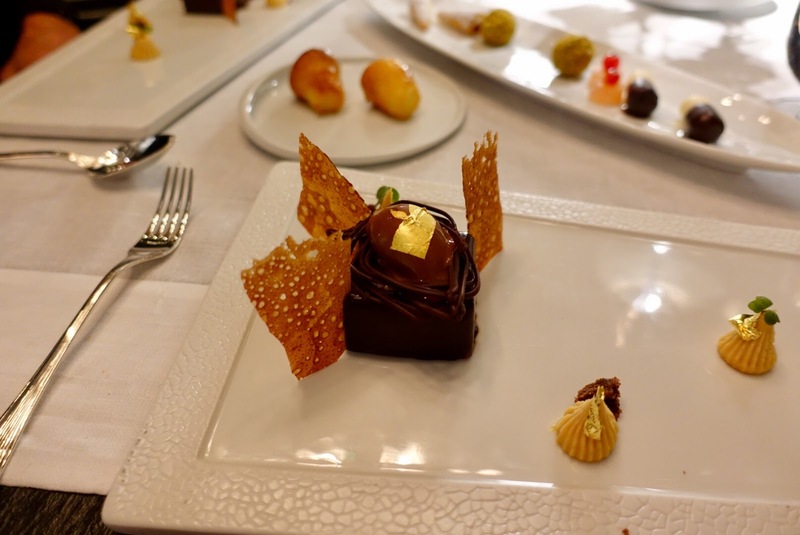 While there is nothing to criticize when it comes to food quality and presentation, I had many meals in comparable restaurants that were more exciting than the one at la Sponda. The highlights of the dinner were the following ones. 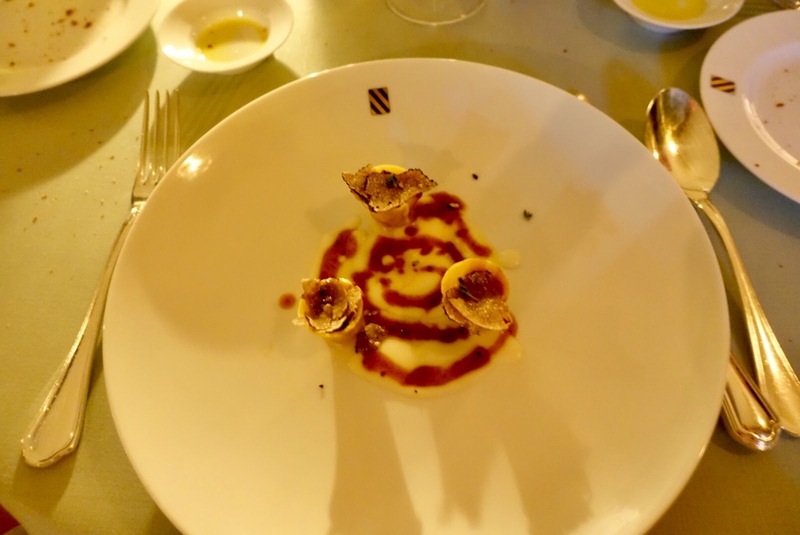 First of all, our pasta course, which we replaced as we do not like sea urchin, was excellent, it consisted of some kind of ravioli with beef and onion sauce combined with black truffle and parmesan sauce. 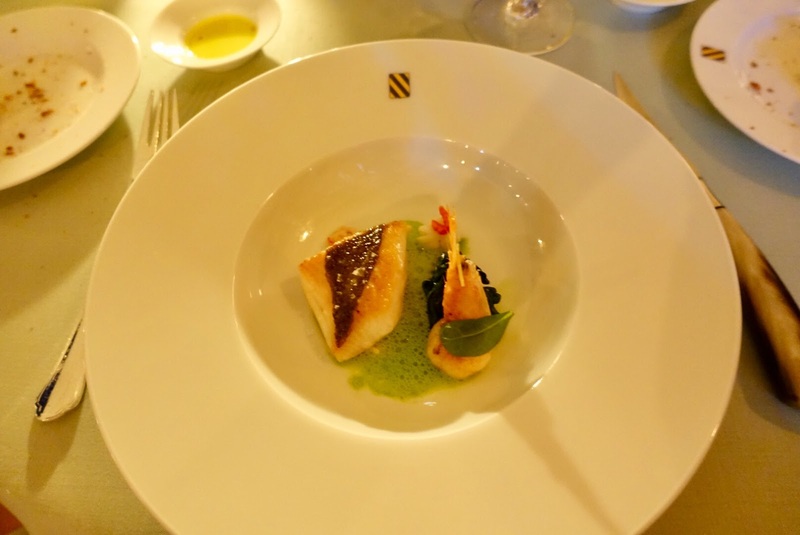 A great dish full of flavor was the fish course, roasted John Dory with shrimps and spinach juice. Also the meat course was impeccable, roasted veal loin with potatoes millefeuille and stuffed spring onions. This is probably the hippest dining-spot in town, a stylish restaurant with modern Italian cuisine. The founder of the place, Tanina Vanacore, passed the restaurant on to their daughter Carmela, who now runs it. Tanina moved on closer to the town center and is in charge of a more casual breakfast and lunch eatery that I will go into in my next paragraph. where my husband and I were seated. The setting is nice, although the tables are quite packed together. Staff is friendly yet relaxed. All the dishes we tried from the quite varied menu were delicious and well presented. 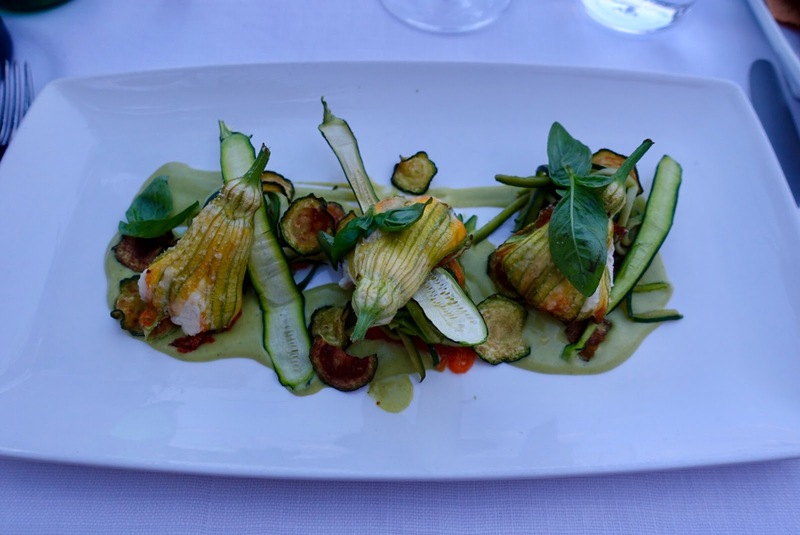 As starter, I absolutely loved the zucchini blossoms stuffed with ricotta, pumpkin and zucchini. 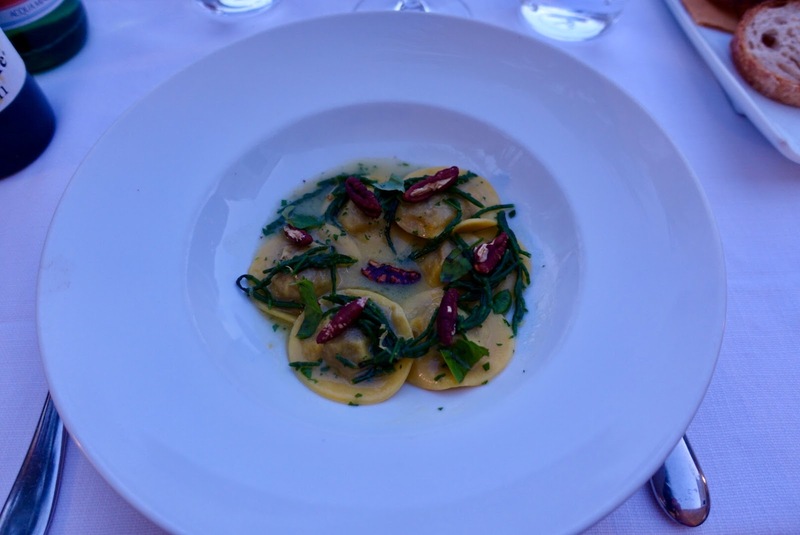 Also the main course I had, ravioli filled with squid and potatoes, accompanied by a lemon sauce, walnuts and sea asparagus, was a delicacy. Desserts here were easily the best ones we had on our Amalfi trip. 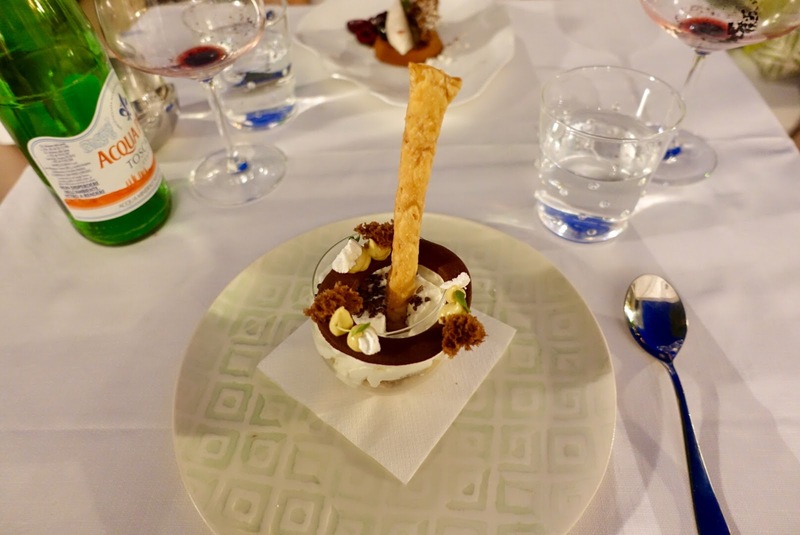 I was delighted by the coffee panna cotta with mascarpone mousse and cocoa, decorated with a hazelnut cookie. This is your place if you seek food that is clearly Italian but with a modern touch, served in chic surroundings. As mentioned above, this place is run by the same family as Next2. 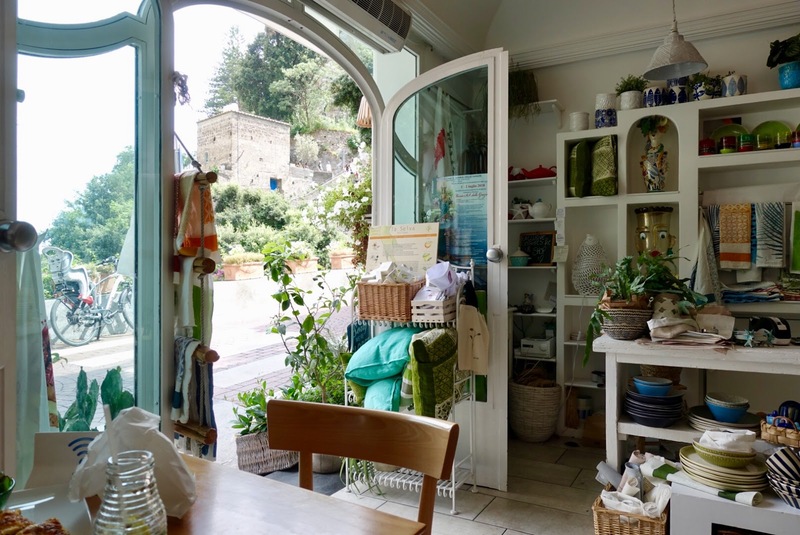 It is located a bit outside the heart of Positano, which makes it better in my opinion as you do not have to deal with the crowds who teem through the alleyways of the town. I liked the restaurant’s interior and ambiance as it comes along bright, inviting and open. There is also a home décor shop on site. 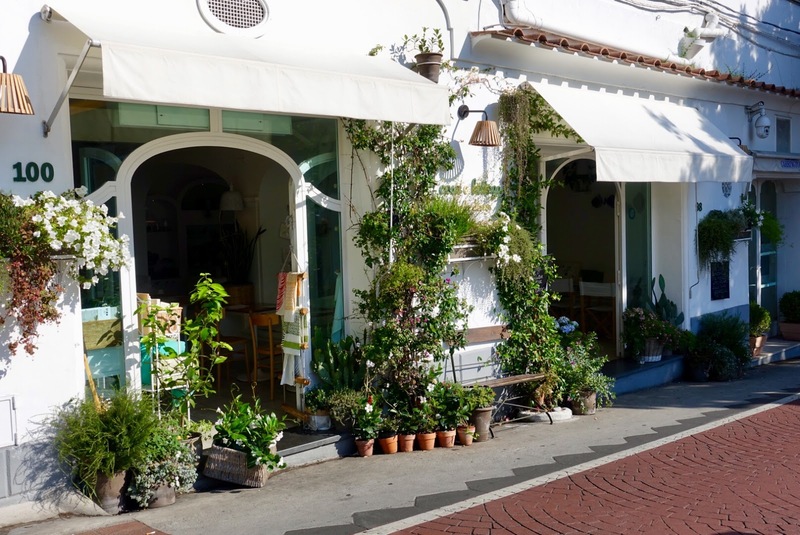 It is the place in town to have a light and healthy lunch, a good change if a break from heavy Italian food is needed! They also offer breakfast, but I did not have the chance to try it, but we ended up having lunch here twice. The owners are present, and the manager is welcoming and accommodating, service is friendly yet not quite seamless. made on order, as well as tasty ice cream, both to take away too. Positano is not the place to go for gelato junkies and I was happy to learn that at least here you get a decent version of the Italian’s most favorite sweet. 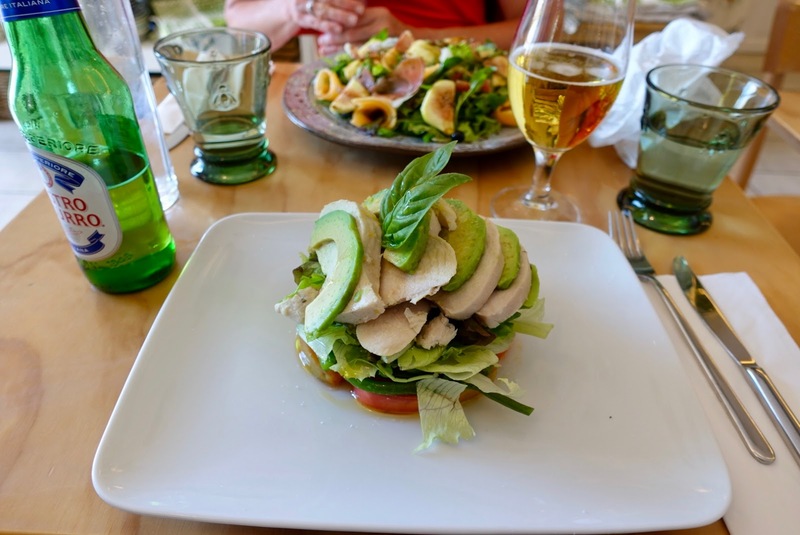 my husband was happy with his chicken salad with green beans, tomatoes, arugula and avocado. 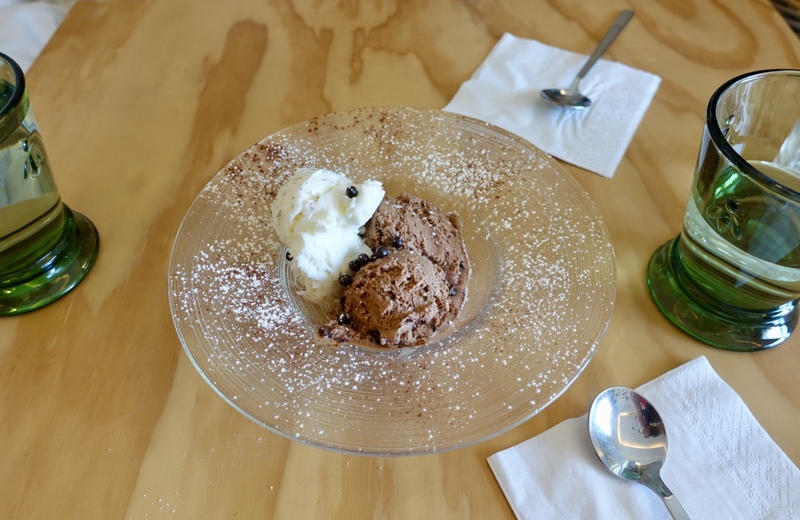 As the portions are large enough, a dessert would not have been a necessity, but I wanted to try out the gelato, so we shared a scoop of vanilla and gianduja. And I liked what I got! 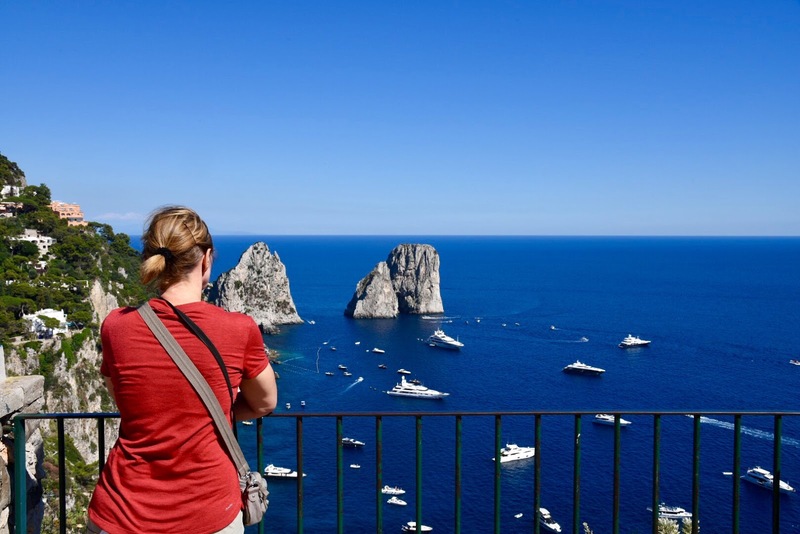 There are alternatives to the usual tourist fare in Positano, although I had my doubts in the run-up of our Amalfi Coast vacation. The area is so popular, especially with Americans, that restaurants do not need to work hard to fill up the places. All the more, I was glad to see that there are still restaurateurs who are committed to their profession. 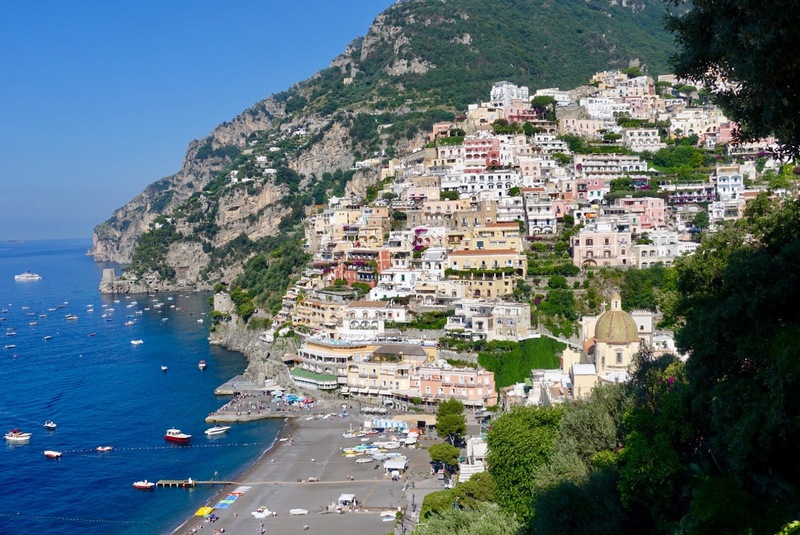 My next blogpost will be about five day trips to undertake on the Amalfi Coast from Positano, which will end my reporting on the area.